Membership is open to both Gentlemen and Ladies who wish to join the club as Full Playing, Intermediate, Flexible, Young Person, Non-Playing and Junior Members. There is also availability to join the Ladies Academy and Junior Academy. Non-Playing with Practice members may make use of the clubhouse facilities, putting green, extensive practice area and 3 hole pitch and putt practice facility. Non-Playing Social members may use the clubhouse only. 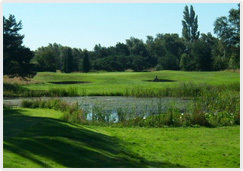 Non-Playing members are not permitted to play the course unless payment of the appropriate green fee has been made. Members may take advantage of paying by monthly Direct Debit with a small percentage fee over and above the figures quoted. Please note that the entry fee has been temporarily suspended. A list of the benefits of being a member at Lincoln Golf Club can be found by clicking on this link. The Annual Subscription renewal date is the 1st April every year with those joining part way through the year paying pro rata.